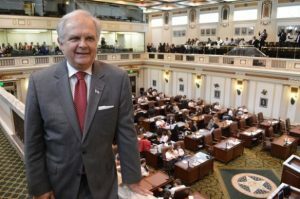 MORRISSETTE CITES DUE PROCESS CONCERNS AS REASON FOR BILL OKLAHOMA CITY – Lawmakers passed a measure that would create a fairer system for doctors who are investigated and prosecuted by the Oklahoma Board of Medical Licensure and Supervision, an agency that has come under public scrutiny for deceptive practices. “This is designed to guarantee due process so every physician is not at the whim of Executive Director Lyle Kelsey and the board members,” state Rep. Richard Morrissette (D-Oklahoma City) said Wednesday. House Bill 1412 passed through the State Government Operations Committee with a 7-0 vote and must now be considered by the full House. The measure was written, in part, because of a case involving Tulsa spine surgeon Steven Anagnost, who endured years of persecution by the state medical board with no finding of wrongdoing. 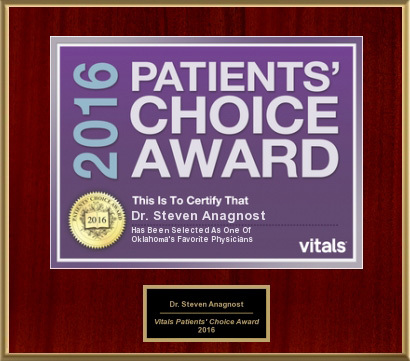 Anagnost was never disciplined and retains his medical license. The surgeon contends in an Oklahoma County District Court lawsuit that the board, competing surgeons and medical practice attorneys conspired to take away his medical license. The doctor was sued in 2010 by then-board member Gary Brooks who works as a medical malpractice attorney. Anagnost also was sued during that same time period by medical board investigator Randy Sullivan, also a medical malpractice attorney. Each case involved former patients of Anagnost. A separate proposal, Senate Bill 279, calls for the medical board and the osteopathic board to be dismantled and combined into one panel. That measure, authored by Sen. A.J. Griffin (R-Guthrie), has been sent to the Senate Health and Human Services Committee for consideration. Anagnost thanked the legislators for their “courage and morality” in connection with the two proposals. HB 1412, authored by state Rep. Jason Murphey (R-Guthrie) would change the entire system when complaints are filed against physicians. Using Kentucky’s model, a newly-created 11 member board would be divided into two panels of five members, excluding the board president. Each panel would have the power to act as an inquiry or hearing panel. Each grievance would be heard by an inquiry panel which would issue a written report. If the panel determined that a violation occurred, the case would go before a separate hearing panel, which will serve as the trial body. No member of the inquiry panel can also serve on the hearing panel. The proposal calls for the hearing panel to issue a final order that would allow three options. The measure would allow the panel to dismiss the complaint, determine a violation occurred, but without discipline, or impose a punishment. In those instances, the panel could revoke, suspend, restrict, deny or limit a license. The panel could also reprimand a doctor or place the physician on probation under specific terms. HB 1412 also prohibits ex parte communications between the board’s prosecuting attorney and board members, a problem that occurred numerous times during the Anagnost case, according to internal agency emails and memorandums obtained byRed Dirt Report. The bill would protect the privacy interests of patient information, which was an issue that arose when Kelsey and medical board staff released a deposition that contained confidential medical information from several of Anagnost’s patients. The information was released to medical malpractice attorneys and at least one Oklahoma City television reporter. HB 1412 gives physicians avenues for appeals, constitutionally-protected due process rights and transparency in connection with the original grievance and all investigative reports. In the Anagnost case, state medical board investigators solicited information from hospitals and insurance companies about the doctor without his knowledge, which is contrary to due process under the U.S. Constitution. The due process concern was addressed by the Oklahoma Supreme Court when Anagnost’s attorneys tried to persuade the justices to assume original jurisdiction in the case, which would have removed it from the state medical board’s control. The court rejected the request 5-4, but the dissenting opinion was a stinging blow to the state medical board. “From all of the documents, exhibits, affidavits and pleadings presented, I have grave concerns that the petitioner (Anagnost) has failed to receive even the minimal due process required under our state and federal constitutions,” Justice Joseph Watt wrote in February 2013. Watt specifically mentioned the medical board’s failure to notify Anagnost about subpoenas it obtained for patient medical records at Hillcrest Medical Center in Tulsa and the surgeon’s peer reviews. Anagnost performed several of his surgeries at Hillcrest. HB 1412 also reduces the power of board investigators who previously could determine if a disciplinary action for unprofessional conduct was warranted. The new measure would limit investigators to obtaining information for the sole purpose of preparing a report for the inquiry panel. Anagnost’s problems began after he rejected a proposal from competing spine surgeons in Tulsa to join their practice and physician-owned hospital. The surgeons, who are part of a pending lawsuit filed by Anagnost in Oklahoma County District Court, own the Oklahoma Spine and Brain Institute and Tulsa Spine and Specialty Hospital.